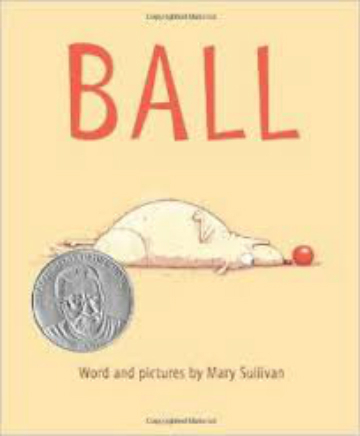 Sullivan humorously illustrates a portrait of a ball-obsessed dog. The story captures the emotions portrayed by this exuberant canine from delight to dejection, boredom and anticipation. Dog lovers will enjoy and recognize the realistic depiction of a relentlessly optimistic, single-minded dog. Children will enjoy the quick pace in the ability to read the book on their own. Readers young and old will be charmed by the true story of a remarkable friendship between an orphaned fawn and a loving Great Dane. 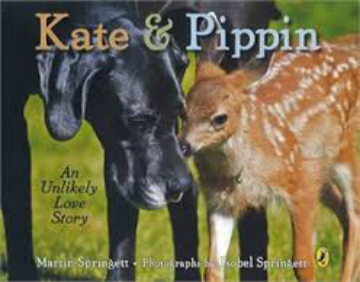 With the help of her master, Kate becomes a mother and friend to Pippin. The fawn grows up and returns to the wild but she never forgets her friend and frequently comes back to visit. This nonfiction includes beautiful photographs and heartstrings are tugged. 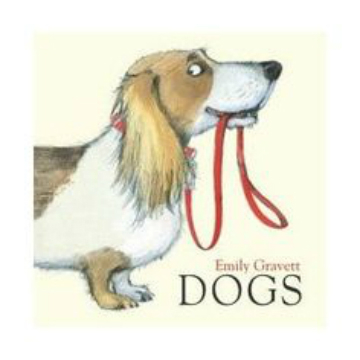 From stripy dogs to spotty dogs, hairy dogs to bald dogs this basic story is great for a beginning reader. The book is simple but entertaining and includes a surprise ending. Clearly, the author adores dogs, if you have a kid who loves dogs, hand them this.